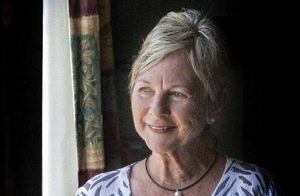 Shirley Burke says it takes a certain type of person to be a palliative care volunteer, but after receiving their support after a cancer scare many years ago, she knew she wanted to be one of them. And after eight years' volunteering with CRANES Palliative Care Volunteer Support Service, she says the work is something she doesn't take lightly. "I think it's an absolute privilege that you are let into the journey of people at that stage of their life," Mrs Burke said. "We are often a listening ear, or even just a person to be there for people who find it hard to talk to their family or others around them, so it's a very special thing we do. "And I think like any volunteer work, there is a sense of satisfaction out of helping others." The palliative care volunteers are called upon to do a wide range of jobs as part of the volunteer role, which apart from being there for a chat, may include driving clients to appointments, shopping, and giving respite to carers. "We're there to support not only the patient, but the carer and the family as well," she said. "We do whatever needs to be done to help fill in the gaps for them." As well as contact with the patients, Shirley is one of a group that looks after the palliative care equipment at Community Health. "It's not very glamorous, but it's important when the equipment comes back in, it's looked after so the next person can use it well," she said. "So we have it on a little roster to go down and keep it all clean." Mrs Burke said the support the volunteers received from CRANES was integral to what they do. "The support network they provide is excellent," she said. "Apart from the meetings we have where we discuss the issues, you always know that if any situation arises they will be there to help you out straight away – it's very encouraging." CRANES Volunteer Services Manager Maggie Barnewall says that the work volunteers like Shirley do is vital. "It's very important for people with life-limiting illness to have support with quality of life," Ms Barnewall said. "The aim is to assist people to be out of hospital and at home with their loved ones." "We receive referrals from the Community Nursing Service Palliative Care team and there is a high demand on our services in the Clarence Valley; with on average 15 clients at a time receiving volunteer support." Ms Barnewall said the Palliative Care training the volunteers received had a focus on listening and communication skills. "Our volunteers are all people with a high degree of compassion, and they have empathy, energy and a sense of humour," she said. "They are very special people." The Palliative Care Volunteer Support Service is managed by CRANES Community Support Programs (phone 6642 7257) and is supported by donations from the local community.